Doctors and medical staff located in hospitals and other facilities across northern Syria have been reporting an increase in patients maimed or injured in blasts from bombs placed in homes and common objects. 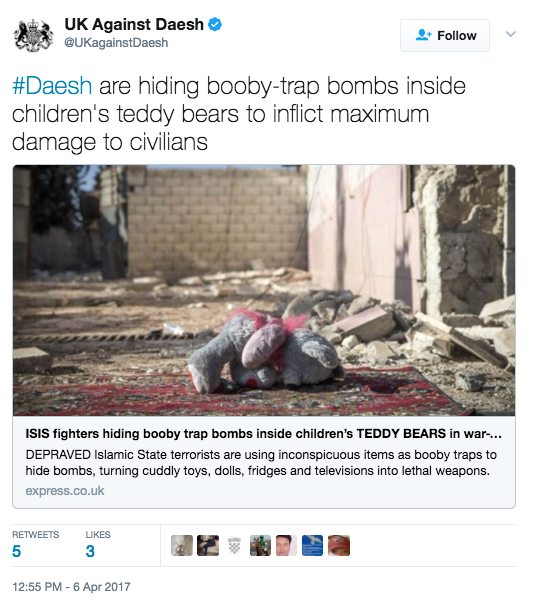 According to reports, doctors and aid workers said the improvised explosive devices (IEDs) were placed in objects such as TVs, refrigerators and teddy bears to kill people who were returning back to their homes after they had fled. 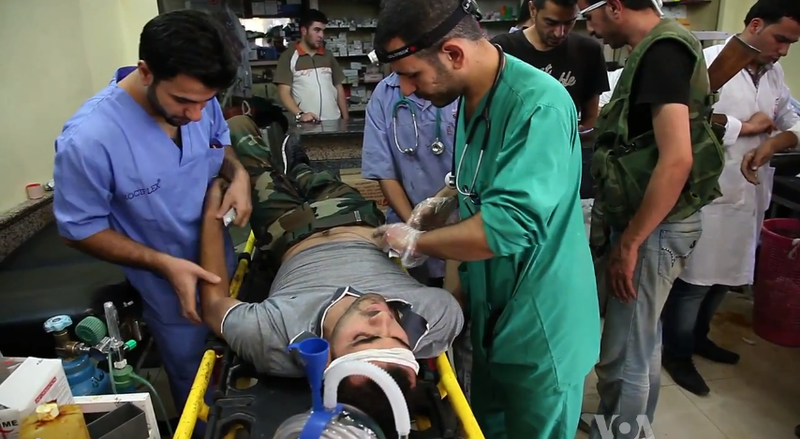 Doctors with Medecins Sans Frontieres, known as MSF, operate six medical facilities in Syria. They say they have treated well over 190 patients who were injured by objects left around homes by fleeing ISIS fighters. Colonel Nawzad Kamil Hassan, an ordinance disposal technician for Kurdish forces fighting in the area, spoke to the Observer. The cities in question have been under ISIS control since 2014, and are now being reclaimed as Kurdish forces move in and liberate the city from the Islamic State. Over 15,000 Peshmerga forces are engaged in constant combat to recapture ISIS strongholds in Syria and Iraq. U.S. troops are also on the ground aiding Peoples Protection Units, otherwise known as the YPG or YPJ, as they battle to recapture the second largest ISIS stronghold at Raqqa.